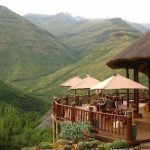 Maliba Lodge prides itself in many things and one of them being that; in spite of its beautiful scenery and luxurious chalets, the Maliba Lodge team has been able to make this place so high in the mountains a home away from home for all our guests including his Majesty King Letsie III, who honoured as once again with his presence here at the lodge. It is in very rare occasions that one gets to meet the King in a more relaxed and casual mood but in this environment he was someone we could all relate to, more so because he was welcomed by the friendly and familiar faces that have became part of his Maliba family whenever he comes to visit. 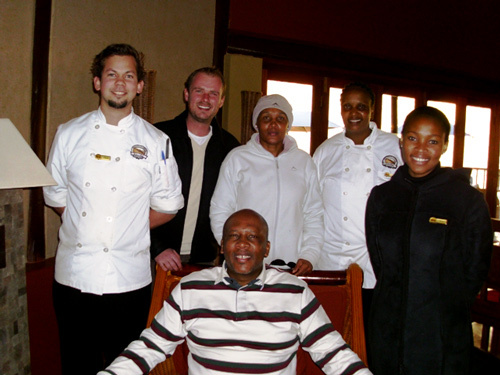 We are very honoured as the Maliba team that King Letsie III found our lodge as the place where he can welcome his guests and enjoyed themselves over a delectable three course lunch feeling like he has welcomed them in the comfort of his own home.